The Planning Commission’s public hearing will be on January 31st , 8:30 AM at the County Government Center, 800 So Victoria Ave. Ventura. In the Moorpark Acorn, January 11th 2019 edition, Hector Gonzalez wrote a piece with a headline that veered close to a Marxist mantra, Finding the Line Between Public Good, Private Property. In it there were four interviewees, the planner Kim Uhlich, who is in charge of Ventura County’s Proposed Habitat Connectivity and Wildlife Corridor Ordinance, a property owner, Rick Brecunier, who will be affected by these new regulations, Lynn Jensen who heads CoLab Ventura County and Supervisor Linda Parks, the elected official pushing for more restrictions. 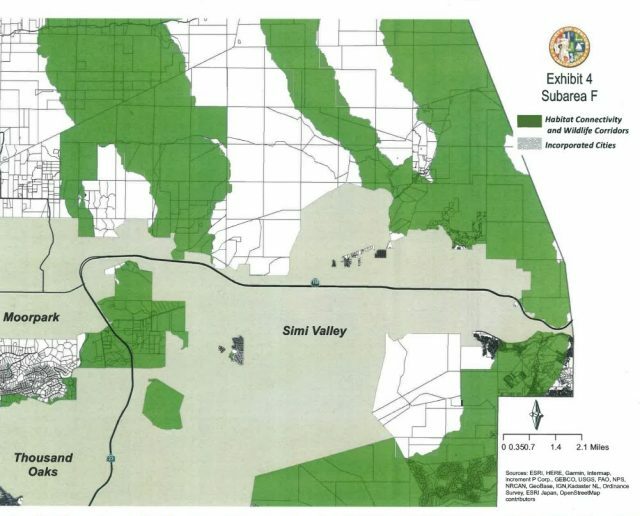 The Ordinance, which will tie up large swaths of private property in the unincorporated area of Ventura County, is Parks’ legacy project. The foundation of Planning’s regulatory onslaught comes from the South Coast Missing Linkages project. This study was completed in 2008 and covered the entire south coast region of California, including Ventura County. It was compiled from reviews of aerial views and other studies. Very little field work was done, i.e. no one came out to see if the animals were actually using/living/existing/ on what they highlighted as corridors. Planning has now taken this study and built upon it to brew up a regulatory prison for large sections of the unincorporated county. In Mr. Gonzalez’s article, Kim Uhlich, again the lead planner on the project, was quoted as saying that property owners could still run cattle. Not everyone who farms in Ventura County owns a cow, but there will be additional permitting requirements to build homes, clear land around water features, certain plantings, building structures such as barns, fencing (watertight fences even in flood zones) and lighting. In the words, they will regulate the value right out of affected private property. Let’s look at Mr. Rick Brecunier’s land. Brecunier was quoted in the Acorn article as saying, “What could be more unfair than just a few landowners being subjected to the regulation of the public good? Will the public be compensating landowners for the value they provide to wildlife?” The answer unfortunately is, no. His land, which is a generational farm that has been in the family since the turn of the 19th century, is in the heart of Subarea F pictured below in the county graphic. This area is already in a greenbelt between Moorpark, Thousand Oaks and Simi Valley which prohibits any dense development. It is zoned Open Space 10, meaning the land can be subdivided down to ten acre parcels. If property owners like Mr. Brecunier in the Tierra Rejada Valley are further burdened with additional land use restrictions it would most certainly devalue this farm along with others. Sections of the land in the valley could not be used for a new home, a barn, or even for additional lighting. The Brecunier’s run Walnut Groves, a charming wedding venue that has operated well over 20 years in the valley. They have recently re-upped their permit. However, with the passage of the new ordinance there will many more hoops for them to jump through if they want to subdivide and build on their land. This cache of regulations seemed to have been crafted with little input from property owners. Please keep in mind, when the county cites “stakeholders” as having given input to a project, it doesn’t necessarily mean that people with skin the game, i.e. land holders, have been consulted. Oft times NGO’s (Non Governmental Organizations) are invited to the table. These come primarily from the environmental community and those who recreate in open space. Now they want more of what isn’t theirs and with a record of not managing well what is already under governmental control. It can’t be denied that environmentalists have hampered proper management of public lands. The voracity of the recent wildfires that have hit our county is proof enough. Yet what Jensen, along with the article’s author, neglect to note is how much land is already in the public trust- over 50% of California. 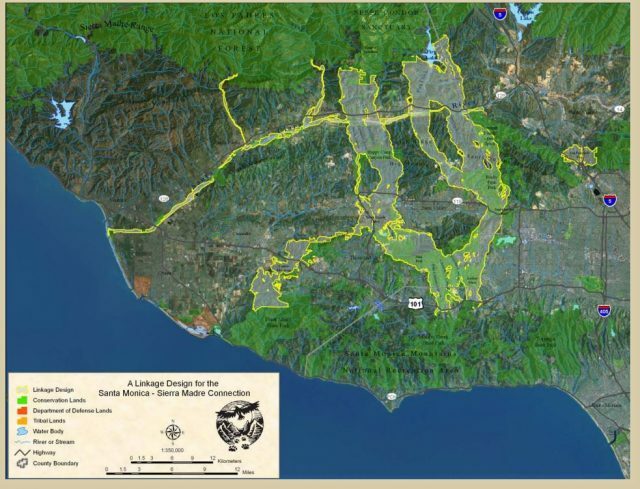 Our county is flanked by the Santa Monica Mountain Conservancy and Los Padres Forest, along with a myriad of local parks and public open space. 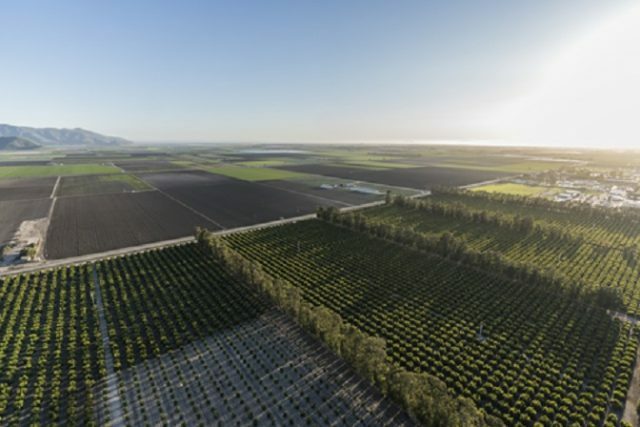 Everyone enjoys open space and the green fields of farmland. It’s tough enough to make a living with agriculture and now the County is poised to make it even tougher. Yes, they should be advised, a firm line is being drawn in the sand.